Everyone, meet Frank-N-Brains. Frank-N-Brains, meet everyone. Now that we’re all friends, let me tell you how I used this game to elicit speech and language from preschoolers and 4th and 5th graders. 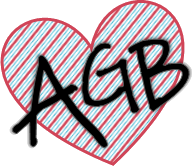 If you’ve been following over at AGB Speech Therapy you will have heard me mentioned how much I love October and all the Halloween activities you can do with speech therapy! And, now, I’ll say it again! October really is one of my favorite months to be an SLP! 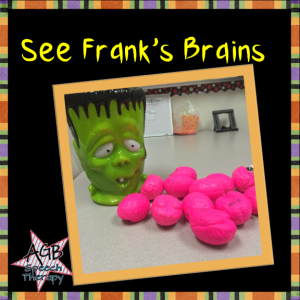 Besides all the great vocabulary and figurative language you can use to make your sessions spooky, there are tons of fun reinforcement games you can use to keep your students’ brains motivated and engaged in lessons. 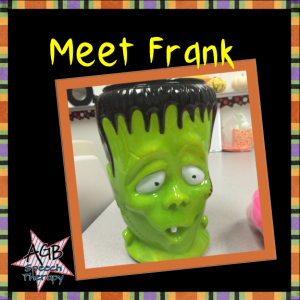 When it was time for Frank to come out and play, I let my articulation students earn brains for good speech sounds. When they had earned 3-4 we would take a “brain break” and toss the squishy pink things (associate link for Amazon) into the bucket. I gave my preschoolers with language delays some tasks to earn brains too, but when they threw their brains they had to tell me where they landed. Some went in the bucket, others bounced out or rested under the chairs or next to the bookshelf. We talked about near and far, high and low, and lots of other basic concepts. 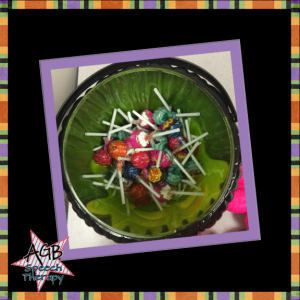 At the end of the month, Frank became very generous and each kiddo got a lollipop to take home. We had so much fun with this activity last year, I cannot wait to do it again this Halloween week. I hope you’re enjoying October speech therapy as much as I am!